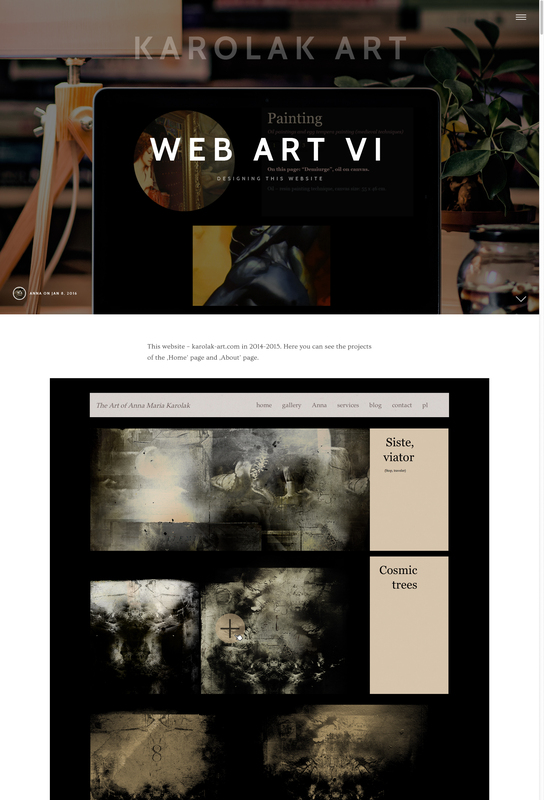 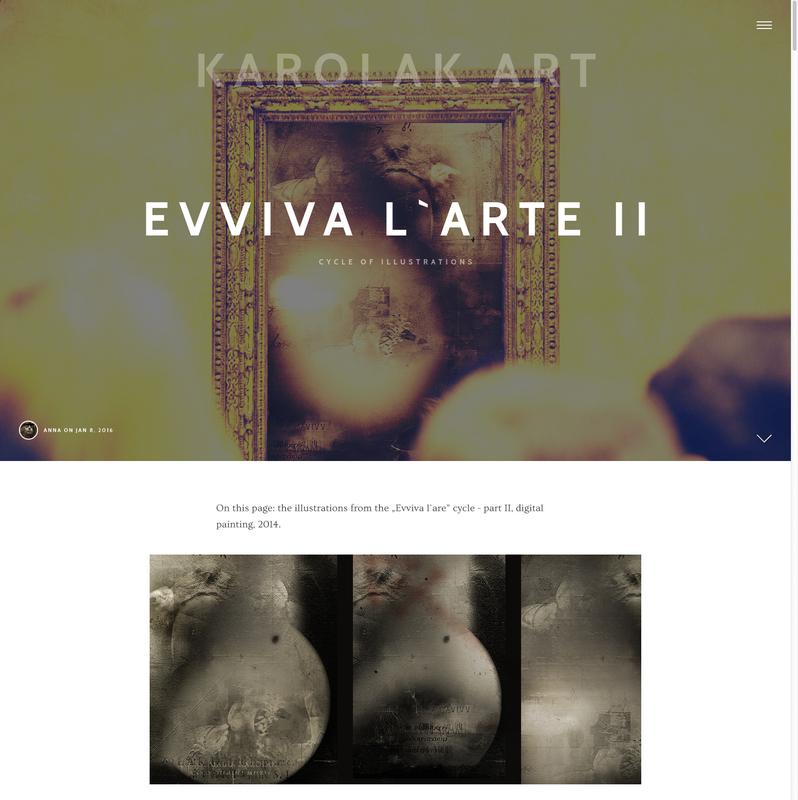 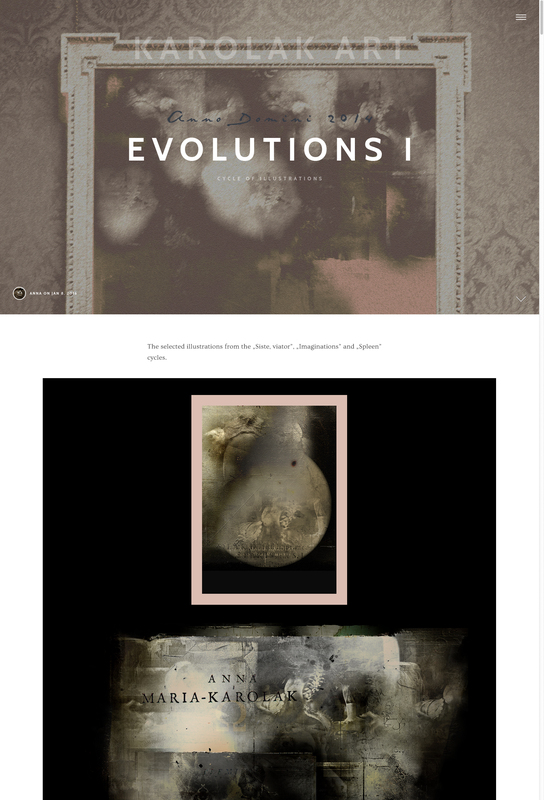 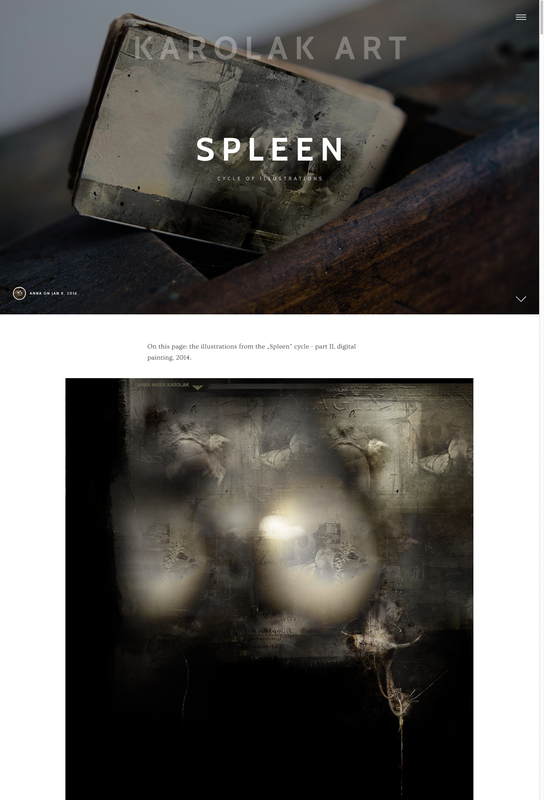 Artistic Web Design by Anna M. Karolak. 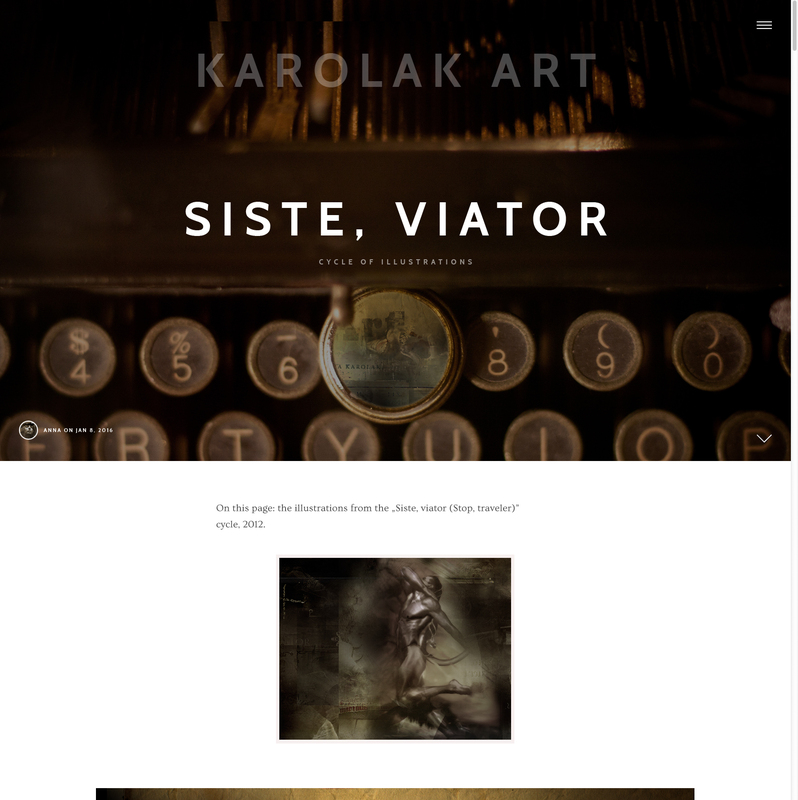 Illustration Style in Web Design. 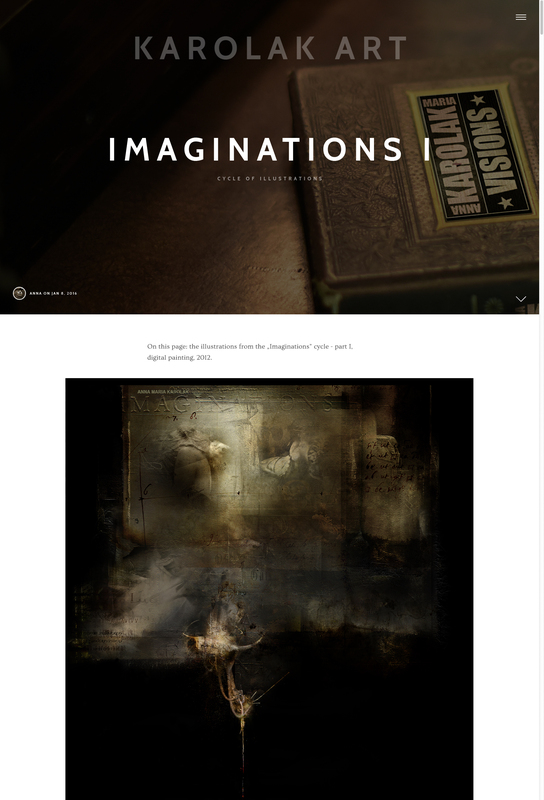 Designing this website in 2017 – one of my projects of this website with fullscreen hero areas for each of the posts from my portfolio. 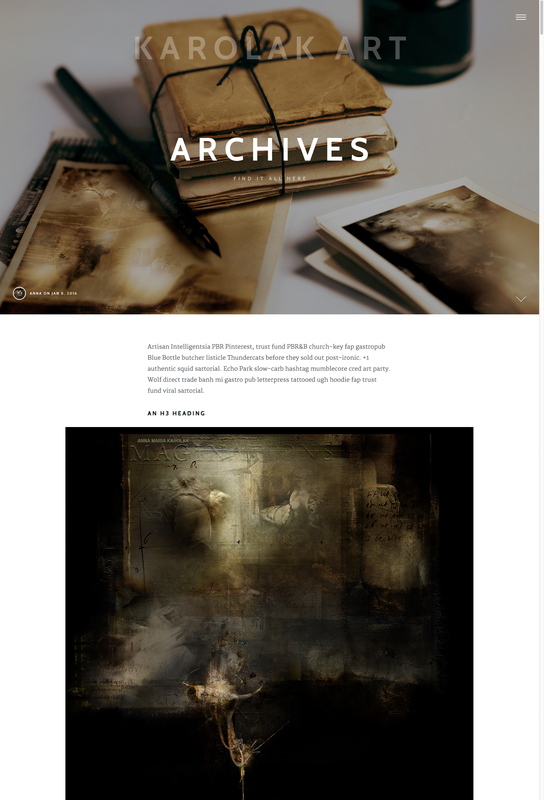 Here you can see the fragments of several posts with my illustrations intended for featured images for background hero areas.